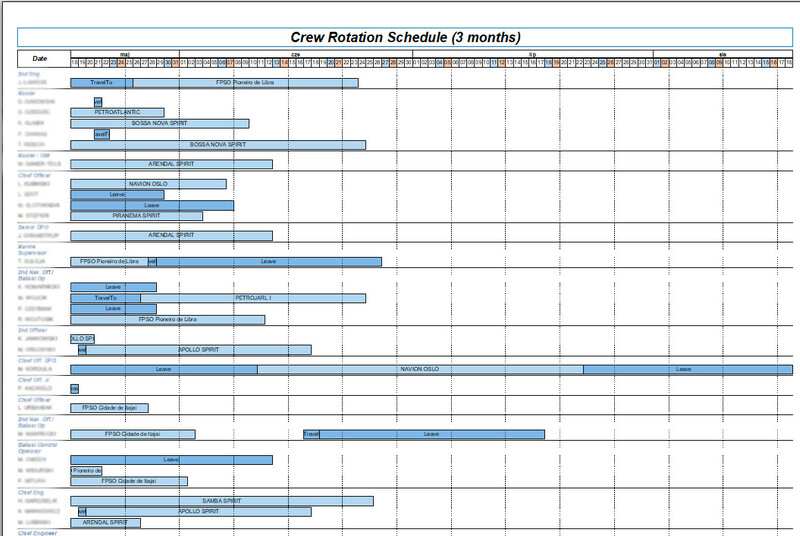 The computer-based system allowing to create, maintain, and manage crew personnel and payroll information. ODMS Personnel can operate both on board your vessels and at your fleets shore offices. Program allows you to collect seaman's applications for employment (candidates) in electronic way: either by diskette or by email. System can register automatically new candidates data i.e. by email from Company s web page. 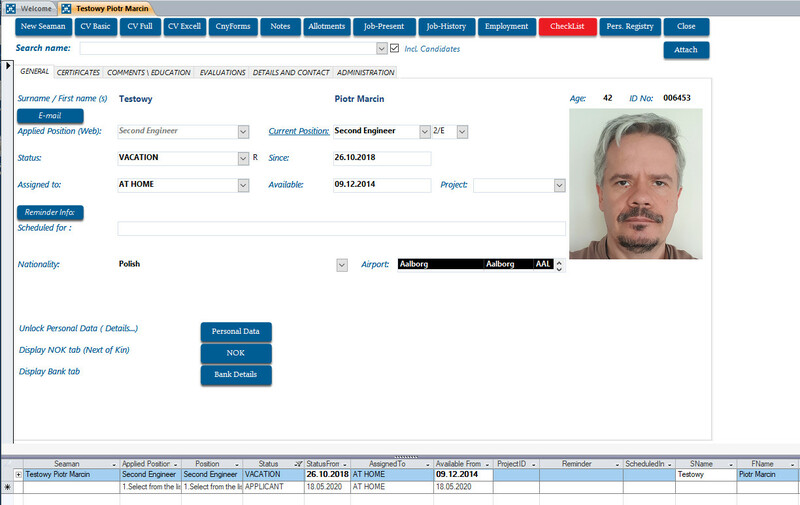 Use the personnel to create, update, and maintain records for each crewmember on each vessel in your fleet. ODMS 2001 personnel information includes crew master records, employment and sea history, license and certificates information, and crew sign on and sign off lists, confidential reports, engagement and discharge records. 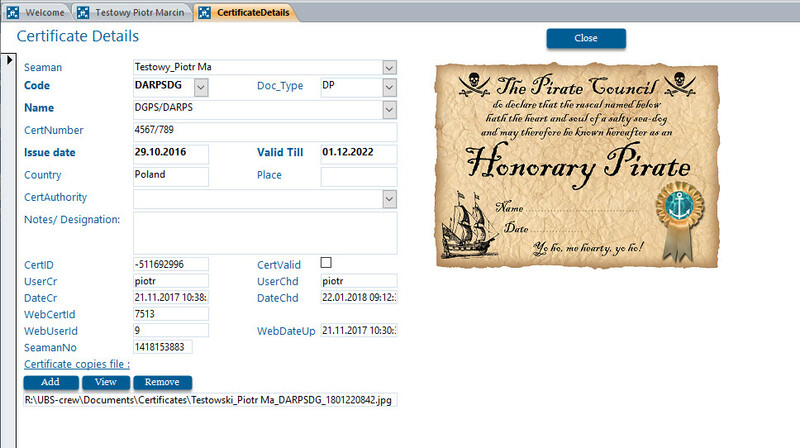 ODMS 2001 include copies of original licenses and certificates allowing you to print them at once when required. Use the Book-keeping part of the program to manage allotments, wages scale, allowances, expenses, allotments, deductions, and payroll vouchers. ODMS 2001 Personnel contains a Transactions component that you use to transfer information between vessels and shore offices. By regularly sharing ODMS 2001 data, both vessels and shore offices can work with up-to-date information to expedite payroll accounting and crew administration. ASTech can also create custom interfaces so that shore offices can use ODMS 2001 information with third-party payroll and personnel systems. Office Documents component of ODMS 2001 program manage all documents, standard company forms. It allows to supply vessels with all standard forms required onboard. System gives you wide access into all co-operating Agents and representatives world-wide. You can automatically produce many different letters using data from ODMS 2001. Much of the initial ODMS 2001 information originates at a shore office. For example, a shore office usually sets up vessel information, crew personal and position information, pay grades and codes, tax, allotment and deduction information, etc. The shore office then transmits the information to each vessel. 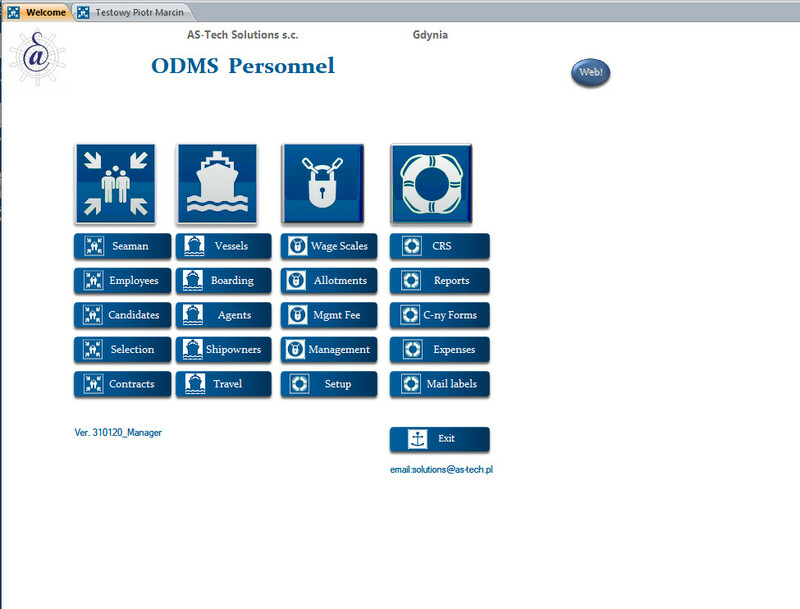 ODMS 2001 allows to operate with many shore offices i.e. with crewing agent giving easy access to required information. Once a vessel has the initial data, the vessel can update or modify payroll and personnel information, generate payroll vouchers, etc. At regular intervals, the vessel transmits the new or modified information back to the shore office, which then uses it to update its ODMS 2001 databases. The shore office can then transmit its new information back to the vessel. 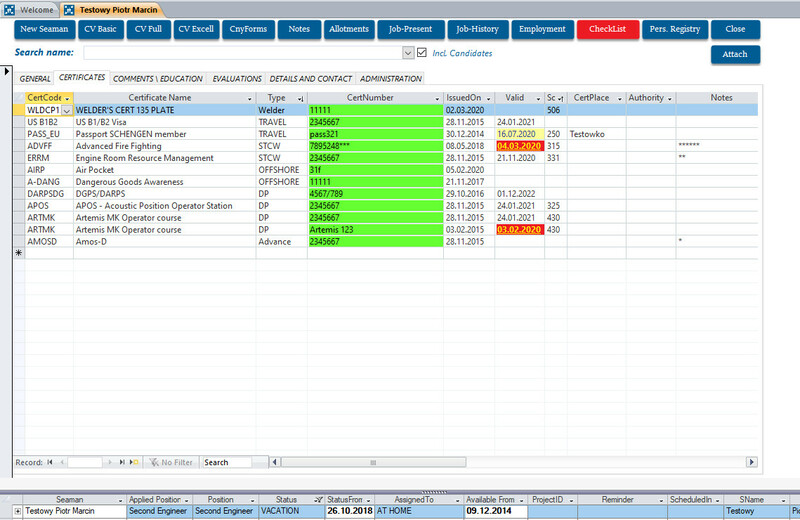 ODMS 2001 also includes a number of predefined reports that both the vessel and the shore can use to extract information from the ODMS 2001 databases. You will find the ODMS 2001 as a very handy tool to maintain Seaman s allotments. It allows you to keep your sea staff allotments up-to date (even if you have thousands of crew members) by its automatic functions. Once you enter Account data it will appear automatically every time you need to send allotments. One of the Book-Keeping module function stores Safety Equipment/ Working gear information. It is related to Personnel part of the program giving quick information about seaman s boiler suits, working shoes etc issued by the company and costs involved. Book-Keeping module consist of many different comparisons and reports. They are very useful in every day tasks.